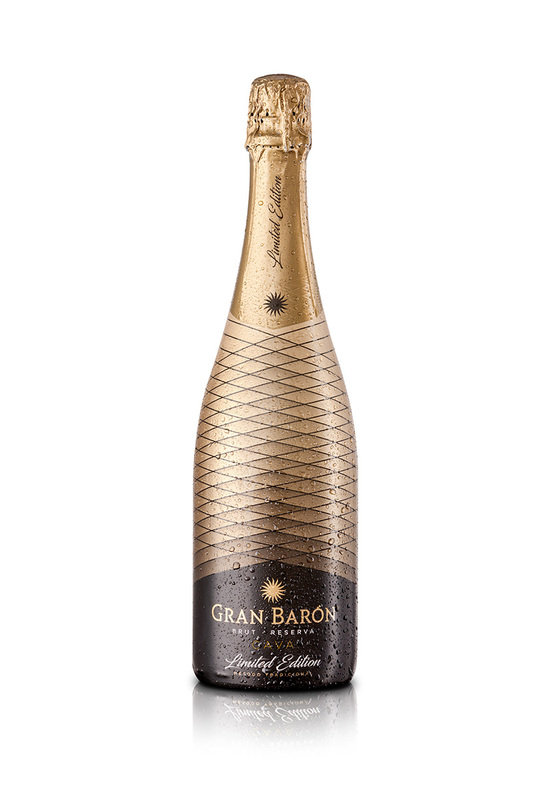 During the Christmas festivities, Gran Barón Brut Reserva dresses up for the occasion. Elegance inside and out. Pale yellow colour with lemony reflections. Aromas of fruit and of ageing that recall banana and fennel, with mellow nuances of almond and toast. Rounded and very fine on the palate. Elegant and dry. Great savour on the tongue. Good, very persistent acidity balance. Lengthy and fruity finish. Recommended for true devotees of cava. To enjoy at any time, to drink as an appetizer or with light and elaborate dishes: poultry and fish. Serve between 5 and 6ºC.